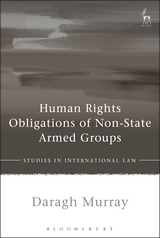 This book is concerned with the international regulation of non-state armed groups. Specifically, it examines the possibility of subjecting armed groups to international human rights law obligations. First addressed is the means by which armed groups may be bound by international law. Of particular interest is the de facto control theory and the possibility that international law may be applied in the absence of direct treaty regulation. Application of this theory is dependent upon an armed group's establishment of an independent existence, as demonstrated by the displacement of state authority. This means that armed groups are treated as a vertical authority, thereby maintaining the established hierarchy of international regulation. At issue therefore is not a radical approach to the regulation of non-state actors, but rather a modification of the traditional means of application in response to the reality of the situation. 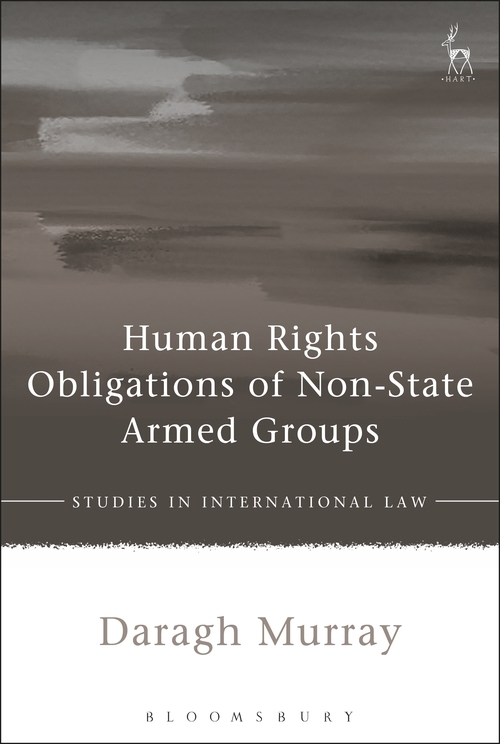 The attribution of international human rights law obligations to armed groups is then addressed in light of potential ratione personae restrictions. International human rights law treaties are interpreted in light of the contemporary international context, on the basis that an international instrument has to be applied within the framework of the entire legal system prevailing at the time of interpretation. Armed groups' status as vertical authorities facilitates the vertical application of international human rights law in a manner consistent with both the object and purpose of the law and its foundation in human dignity. Finally, if international human rights law is to be applied to armed groups, its application must be effective in practice. A context-dependent division of responsibility between the territorial state and the armed group is proposed. The respect, protect, fulfil framework is adapted to facilitate the application of human rights obligations in a manner consistent with the control exerted by both the state and the armed group. Andrew Clapham, Professor of International Law at the Graduate Institute of International and Development Studies. Daragh Murray is a lecturer in the School of Law & Human Rights Centre at the University of Essex.